Since Donald Trump’s remarkable US election triumph, several influential members of Australia’s foreign policy community have argued his victory ought to be the catalyst for a rethink of the US alliance and our broader foreign policy settings. Opposition foreign affairs spokeswoman Penny Wong believes a Trump-led US may ride roughshod over Australian core values such as openness, tolerance and co-operation, the implication being that any divergence from these values must raise questions about the sustainability of our ­security co-operation with the US. Former prime minister Paul Keating echoes Wong’s values critique: “This society of ours is a better society than the US. It’s more even, it’s more fair.” He also asserts that we do not have an independent foreign policy and “need to make our way in Asia ourselves”. Given the forceful rejection of their arguments by the Coalition, if Wong and Keating have their way, we are likely to see the end of bipartisanship on the alliance, a shift towards a more values-based foreign policy under Labor and a rejection of what Keating calls “a tag-along foreign policy”, which he sees as the subordination of Australian interests to those of the US. Are Wong and Keating right? Would less America and more Asia be a sensible basis for recalibrating our foreign policy at a time of heightened geopolitical volatility and rising great power competition in Asia and the Pacific? Let’s start with Wong’s values proposition. At first glance it seems to be in line with the declaratory position of both major parties. There are countless examples of Coalition and Labor politicians justifying the ANZUS alliance in terms of shared values. However, Wong’s contention that Trump’s “transactional” approach to foreign policy conflicts with a more desirable, values-based approach, and that the president-elect lacks the core values of most Australians, is a significant departure from past policy and an imprudent personal slight against the incoming US president. Her argument is also misconceived. Trump’s narrower “America first” foreign policy will not be solely transactional. Of necessity, it will reflect the Trump administration’s principles, world view and the values of the large number of Americans who voted for change. These values may not be personally attractive to Wong. But mature countries should not conduct their external affairs on the basis of perceived personal values, which is virtue signalling disguised as foreign policy. Former US president Jimmy Carter tried this approach in the late 1970s when he enshrined human rights as the guiding principle of US foreign policy. It was an abject failure because other countries resented his moralising approach, seeing it as hypocritical, self-serving and a convenient fig leaf for interference in their domestic affairs. The long-serving Soviet ambassador to the US, Anatoly Dobrynin, concluded that Carter’s human rights policies did more harm than good to human rights in the Soviet Union. Wong has fallen into what American scholar Nicolai Petro, calls the values trap. By sanctifying a set of personally appealing values as a foreign policy determinant all she advances is moral righteousness while opening up areas of political contention and conflict with other states. Trump’s foreign policy is likely to prioritise interests over values, reflecting the dominant, realist strand of foreign policy practised by virtually all states for most of the past 500 years, including the US and Australia. Since the new world order is likely to be far more brutish and competitive than the previous, Trump’s foreign policy cloth may be far better cut for the times than his critics allow. To suggest that Australia should distance itself from a robust democracy and longstanding ally such as the US because of a perceived divergence of core values under Trump raises the question of how this formula would be applied to relations with China, Indonesia and many of our Southeast Asian neighbours, which clearly fail the Wong values test. Would we eschew closer ties with Indonesia should another Australian be executed for drug trafficking? Does it mean a deeper relationship with China would be hostage to concerns about human rights or the arbitrary incarceration of Australians on spurious legal grounds? If Labor seriously intends to privilege a values-based approach to foreign policy it needs to explain how such a policy would work, especially when values and interests clash, as inevitably they will. Keating’s desire to pursue closer ties with Asia and greater foreign policy independence is more of an interest-based argument than Wong’s. But there are two problems with his reasoning. First, closer ties with Asia do not have to come at the expense of relations with the US. They are not mutually exclusive propositions. On the contrary, Australian governments of all political persuasions have accepted that engagement with Asia is materially advanced by our membership of the alliance, just as a more regionally integrated Australia is a strategic plus for the US. Second, our alliance with the US is based not on sentiment but a hard-headed calculation of the national interest that Keating should approve, rather than denigrate, even if he has reservations about the wisdom of specific foreign policy decisions. 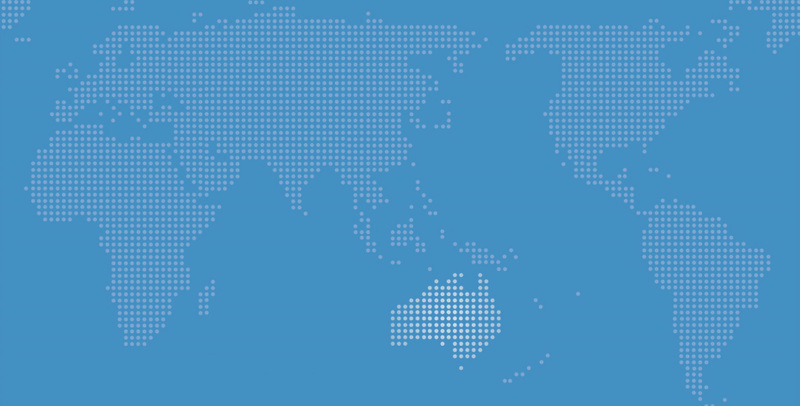 ANZUS is an alliance of democracies that has never precluded its members from disagreeing with the US or pursuing an independent foreign policy. The Hawke government, of which Keating was a prominent member, certainly took this view. For a middle power there will always be trade-offs between the ideal of absolute independence and the obligations that membership of an alliance with the world’s pre-eminent state brings. As the world becomes a more turbulent and dangerous place, the value of the alliance for Australia will increase, not diminish. It makes no sense to throw up our hands in horror at an imagined Trump dystopia and go cold on an alliance that demonstrably enhances our security and international clout and is a serious deterrent against coercion and military attack. Far better to find constructive ways to work with Trump and use our alliance leverage to moderate policies that are patently not in our interests.